MTAB’s business concept outlines the importance of caring for the objects that we handle and that care also features in our approach to the environment. MTAB has been working actively with the environment for many years now, implementing measures little by little within the organisation. Our environmental work has a strong emphasis on prevention, with our staff constantly informed about and trained in environmental issues so that they can carry out their work responsibly. Much of today’s environmental work is governed by legislation. We are naturally committed to keeping ourselves up to date with this and other requirements. We do this in dialogue with the authorities, customers, suppliers and others. We also keep abreast of the latest issues, problems and solutions in the environmental field. All our decisions and activities are to be based on the precautionary principle of the Swedish Environmental Code, which means that where doubt arises, a decision will be taken in favour of what appears to be the best environmental choice, even if there is a lack of scientific evidence. Our service of transporting unpacked goods and positioning them on site means that we also take care of and sort used packaging for recycling. We offer total solutions that meet suppliers’ producer responsibility. In this work, we want to continue as an engine of progress in dialogue with our customers, so that we can meet the most stringent of environmental standards. 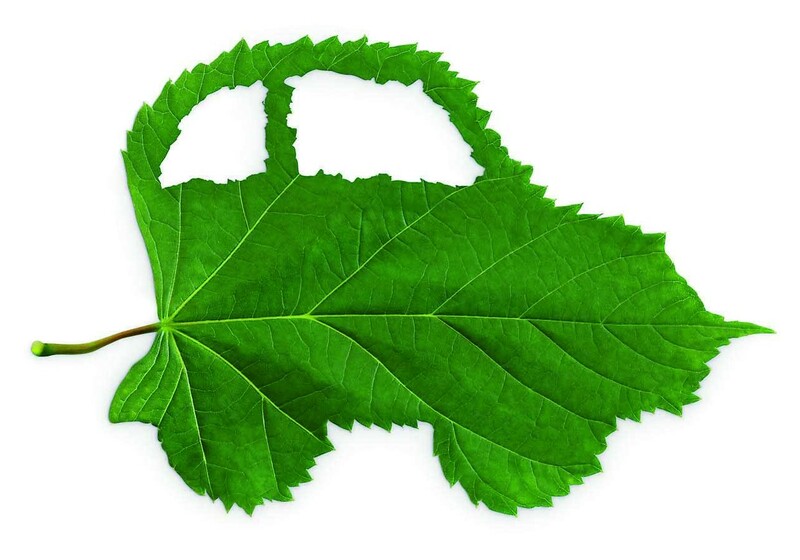 We choose the best possible vehicles from an environmental point of view. Today, that means Euro 5 engines for heavy vehicles, whose emissions are considerably lower than earlier models. 2009 saw us purchase our first biogas fuelled truck. We buy the diesel that is currently available on the market, the Swedish fuel grade MK1. This is free from sulphur, which means that emissions of sulphur dioxide are no longer a problem for goods vehicles. In spring 2009, the vehicles stationed in Malmö started switching to RME. The tyres we buy are free from highly aromatic (HA) oils. The reason for avoiding HA oils is that they contain high levels of carcinogens and environmentally damaging polyaromatic hydrocarbons (PAH). We sort and compact waste items generated by our activities. This includes used packaging, electronics and so on that are no longer required by our clients. Many of our shipments involve unpacked goods, which means that we unpack the customers’ products before transporting them. As part of our work with unpacked goods, we handle and recycle all used packaging. We have also developed services that allow us to take on the producer responsibilities of our suppliers and customers. Environmental requirements have formed part of our purchasing process for many years. We buy Nordic Swan ecolabelled cleaning products. In Stockholm, we provide the cleaning products used by the contractor that handles our office cleaning. Our cleaning products all come from Sonett, a company whose products hold ECOGARANTIE accreditation in Germany: www.ecogarantie.eu. Its demands are considerably more stringent than those of the Nordic Swan ecolabel. This includes plastic, paper, cardboard and wood. All wood products purchased are FSC labelled and all plastic is PVC-free. This also applies to tape. All paper products with printed text are sourced from a Nordic Swan ecolabelled printer. This is also true of toilet paper and paper towels. We buy in food items such as coffee, tea, cheese and bread for our break rooms. Where possible, we choose organic and fairly traded products. The producer carries responsibility for recycling, but we can help meet that responsibility as your logistics partner. Since we deliver new machines to end customers, we are able to collect old machines at the same time. We can also handle all the transport documentation for recycling. Logistics and transportation are a key aspect of recycling. As a transporter and logistics partner for a number of leading companies in the office, IT and electronics industries, we have accrued considerable expertise of electronics recycling. We have seen just how well our model of transporting unpacked machines and providing assistance with installation works. We are licensed to transport and store hazardous waste and rarely use pallets and transport cages like so many others. Since the majority of the goods MTAB transports are unpacked and we also take care of any unpacking, large quantities of packaging material are generated and have to be dealt with. MTAB therefore has an agreement with Ragn-Sells on sorting packaging and electronic waste. At our terminals we have set up centres to collect different groups of sorted waste, including timber, electronics, batteries, cardboard and plastic. The system meets the requirements of our customers under their own ISO 14001 certification and can be used in environmental reporting. MTAB provides certification of landfill and sorted waste. Sweden’s first industrial building made from recycled materials. MTAB’s high-security storage facility in Bromma was built to optimise both environmental considerations and modern, rational stock management. There are a number of special functions under the roof of the 6 400 sq m, architect-designed building made mostly from recycled materials. Logistics and transportation are a key aspect of recycling. As a transporter and logistics partner for a number of leading companies in the office, IT and electronics industries, we have come into close contact with the problems of electronics recycling. We have seen just how well our model of transporting unpacked machines and providing assistance with installation works. We are licensed to transport and store hazardous waste and we do not need to use pallets and transport cages like so many others. The producer carries responsibility for recycling, but we can help meet that responsibility as their logistics partner. Since we deliver new machines to end customers, we are able to collect old machines at the same time with no problems. We can also handle all the transport documentation for recycling. Goods can be stored temporarily at our storage facilities in Stockholm, Gothenburg or Malmö.